After the arrival of a new child, life can be quite hectic. As a result, it can sometimes feel like it is impossible to spend time anywhere other than your home. The lack of outings can lead to feelings of stir craziness. While there are many different reasons a new parent may want to get out of the house with their newborn, one of the most common is being sick of being at home. However, it can be a struggle to find events that are both interesting and appropriate for your little one. 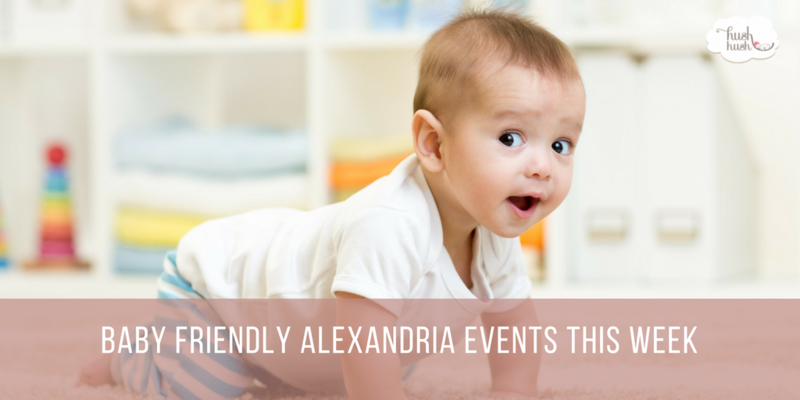 Read on to learn more about some baby friendly Alexandria events happening this week. The Beatley Central Library is dedicated to encouraging reading in young children, teens, and adults. As such, they have a ton of baby friendly Alexandria events that they host on a regular basis. Family Story Time is one of our favorite baby friendly Alexandria events because it incorporates activities for families with children from newborn to five years old. As a result, multi-child households don’t have to try to juggle how to get each kid to story time. Additionally, there is something unique about being able to get together with families in your community that have children of differing ages. Join them on Friday (11/3/2017) morning from 10:30 am to 11:00 am in the Large Meeting Room to join in all the fun. While it was initially scheduled for October 29 but was rescheduled to Sunday, November 5th due to inclement weather. The Del Ray Halloween Parade is one of the best baby friendly Alexandria events for a first outing because of all the festive costumes. The parade and all of the excellent activities are entirely free, and kids are encouraged to participate in the parade. Additionally, there are several awards given after the parade for things like “Best Decorated Stroller,” “Best Pet Costume,” and much more. The parade starts at 2 pm, and you can find more information here. Read, Sing & Play, Baby! The Barrett Branch Library puts on a special series of events throughout the year that are geared specifically towards “babies 0-11 months and their grownups.” They made our list of baby friendly Alexandria events because of the mixture of songs, games, and interactive activities designed to help your child develop their language and motor skills. If you are interested, check them out on Monday, November 6 from 4:00 pm to 5:00 pm in the Children’s Room of the library. Hush Little Baby, LLC was started in January of 2011 by Haleigh Haggerton Almquist, an Advanced Certified Newborn Care Specialist (CNCS) and long time professional nanny of 8 years.